Ernesto Walker (1982) Based in Monterrey (MX). His artwork is characterized by the exploration of chance and abstraction, reflecting on the linkage between what is accidental and what is significative. His academic formation is on the field of humanities, with a bachelor degree in International Relations obtained in 2006. He has 8 solo exhibitions and participated in 30 group exhibits in Mexico, United Kingdom, Athens, Belgium, Switzerland, Luxembourg, The United States and Argentina. His artworks are part of collections in Italy, England, United States, Canada, Argentina and Mexico. 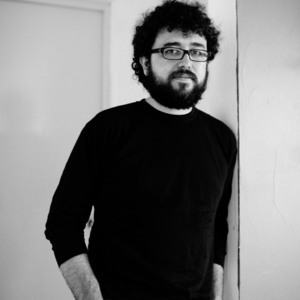 Among other distinctions, he is 1st place winner of the Saatchi Gallery International Drawing Showdown 2011, recipient of the PACMyC fellowship given by the National Arts and Culture Council of Mexico (CONACULTA) as well as the FINANCIARTE production fellowship given by the State Arts Council (CONARTE). Since January 2011, he is professor of the School of Art, Architecture and Design of the Tec de Monterrey College.